How To / A Year of Techniques / A Year of Techniques: Garter Stitch Short Rows! It’s the beginning of October, time for a new project and video tutorial for A Year of Techniques. 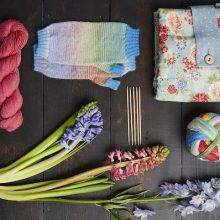 Whether you’ve been knitting and learning along with us since AYOT started back in March, or you’re just dropping in for the first time, this month’s project hits the sweet spot of a compelling, short project + a technique that you will use in your knitting all the time. 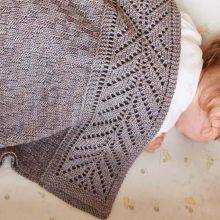 I’ve knitted short rows before, of course, but as a blind follower of the directions. I don’t have any confidence that I’m doing it “right”; I am mired in low-level anxiety until the short rows are done. 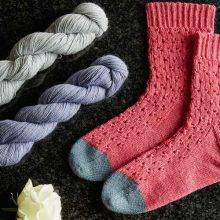 As with every technique in the series so far, I’ve found that Jen Arnall-Culliford’s crystal-clear explanation of short rows (in the video at the top of this post) zaps away that fog. I get it! I get short rows! I will knit short rows in a house! 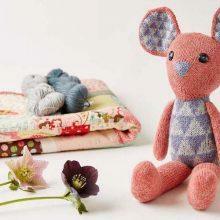 I will knit short rows with a mouse! 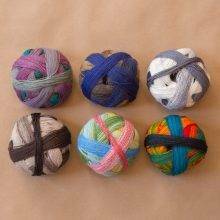 I will knit them wrap & turnin’! I will knit them like a German! What I’m trying to say: in this video you will learn two techniques for short rows: the wrap-and-turn method, and German short rows, which are just as straightforward, but the kind of cleverness that makes you wonder how on earth someone thought of it the first time. 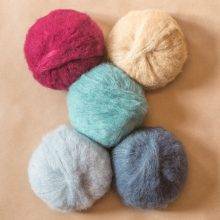 The Project: A Woolly WormheadTM Hat! 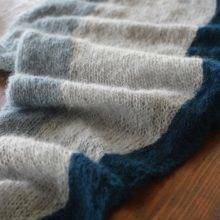 The slipped stitches are fun to work, and a distinctive design element, but the point of this pattern is to practice short rows, and to appreciate how easy short rows are in garter stitch. 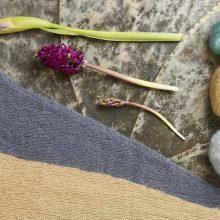 In garter stitch, you do not have to knit the wraps together with their stitches: who knew? Get the pattern. 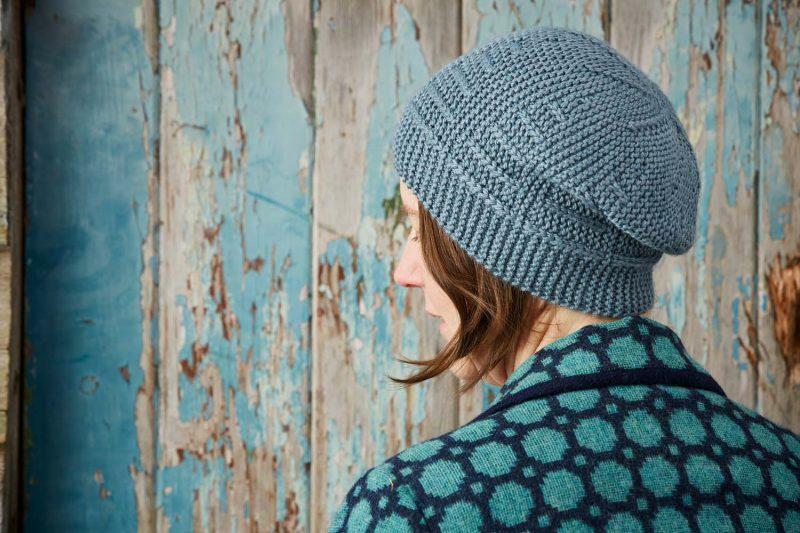 If you have already bought your Year of Techniques ebook, this new Ruschia hat pattern has been delivered to your Ravelry library, ready to go. 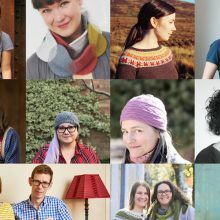 If you need to buy your Year of Techniques ebook, which includes all 12 patterns, and tutorials for the whole program, it’s available on Ravelry or from Arnall-Culliford Knitwear. 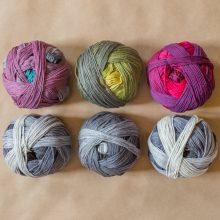 Get the yarn. 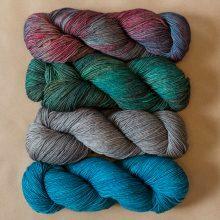 Fyberspates Scrumptious Aran is the yarn of choice this month, with just one skein required (per hat). 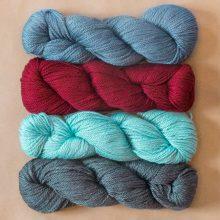 This yarn is aptly named. 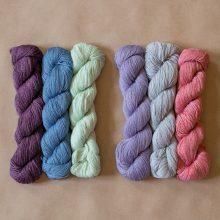 It is a delectable, extra-warm blend of merino and silk. 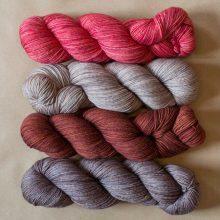 We’ve got 4 colors in the Shop, in case you don’t have a skein of sufficiently nice Aran weight on hand at the moment. Join the conversation. 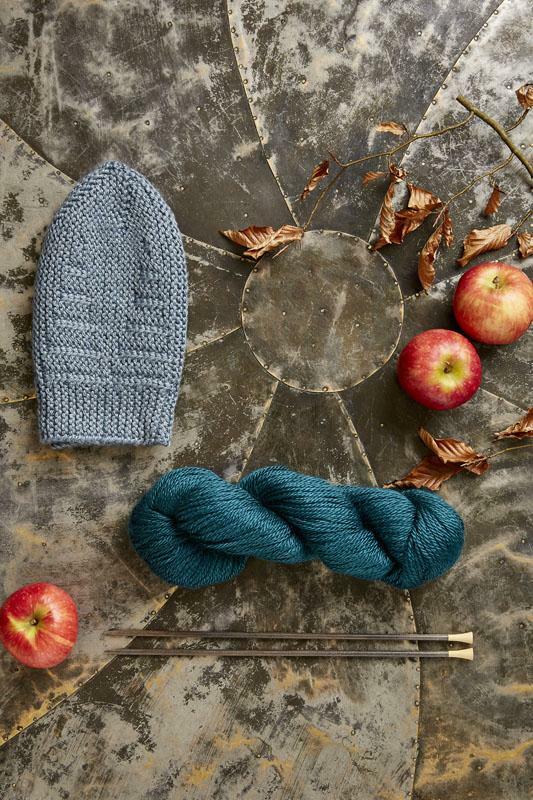 We’ll be over in the Lounge talking about the Ruschia hat, in the topic “Technique Number 8: Garter Stitch Short Rows.” And of course, the gang will be carrying on about it in the Year of Techniques Ravelry group. 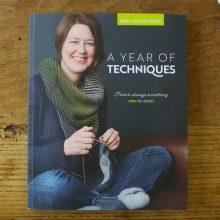 It’s a delightfully helpful and encouraging group of knitters. There's always something new to learn. 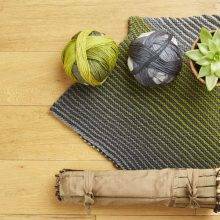 A Year of Techniques is an easy way to dip your toe in the waters of clever knitting techniques. 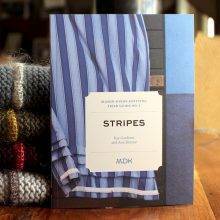 Helical Stripes in Garter Stitch! And on DPNs! Thank you for your Birthday coupon. 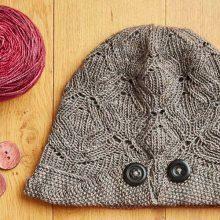 I ordered the Aran yarn for this hat looking forward to casting on & really learning short rows! Bear With! 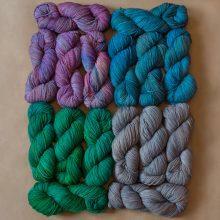 Love the “Miranda” reference…..
I’m with you – I follow short row instructions blindly. I used German short rows in a sweater last year, and thought they turned out better than wrap and turn, but the idea of converting a pattern from w&t to German was daunting. I’m hoping Jen can help make this all clear to me! Cute hat! Another to the queue…. I am completely in love with Jen Arnall-Culliford and her gentle reassuring way of teaching! Like you, Kay, I am ” mired in low-level anxiety until the [insert new technique(s) here] are done.” For me, most recently, it was corrugated ribbing. As with many of those anxiety-producing new-to-me techniques, it was easy, once I got into the rhythm of it. But it would have been easier with Jen’s calm presence beside me! 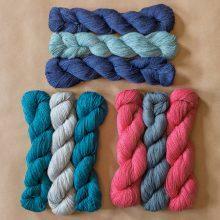 I think I need to practice those German short rows with Jen well before my next project! How I do love you Kay-I-Am! 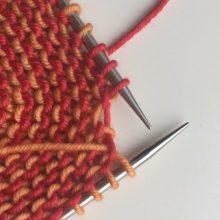 Short rows always make me uneasy, because I’ve seen too many different ways of doing them without understanding why each one is done a different way. 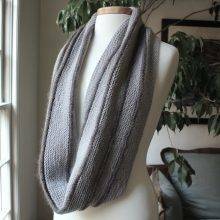 I use them in designing stockinette crescent shawls, and I fiddled until I made it look the way I wanted and then kept using it. No wrap and turn. But this video and hat will go a long way in helping me make peace with the short row. Thank you! Thank you so much for this video on knitting short rows . I taught myself how to knit , and this just reading it was so confusing. I actually did it right , but was afraid that I wasn’t doing it right .